Thanks to Barry, the baby Shoyru, the Marblemen have been left out of their toy boxes. 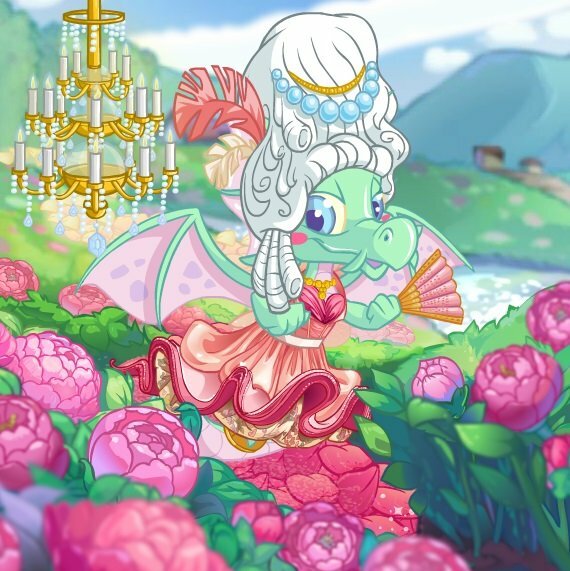 Guide them back into their boxes before they destroy Neopia! The controls for this game are very simple. Click on the bumpers (triangles) on the screen to activate them. The bumpers are used to redirect Marblemen. Once hit by a marble, the bumper becomes deactivated again. Your goal is to guide all the marbles into the correct toy boxes within the time limit. The quicker you finish a level, the higher the score you receive. 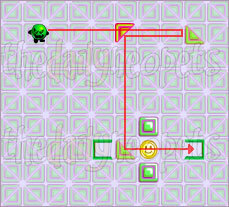 As you get further into the game, you will encounter more obstacles. Here are the different obstacles and items you will find along the way. Bumper: Activate by clicking them. Once hit, it becomes deactivated. Toy Box: Make sure that all the marbles end up here before the time runs out. The color of the marbles and toy box must match. If you put a marble in the wrong toy box, you lose a life. Square Bumper: Like normal bumpers, but is never deactivated. It only sends marbles back the way they came. 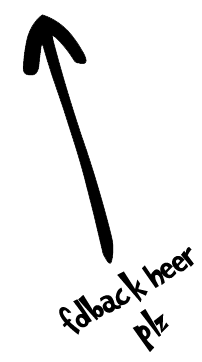 Arrow: Redirects marbles in the direction they are pointing. Coin: Run a marble over these to earn 10 extra points. Bomb: If an unprotected marble hits a bomb, you lose a life. Shield: Protects your marble from a bomb. The shield disappears after your marble hits its first bomb. 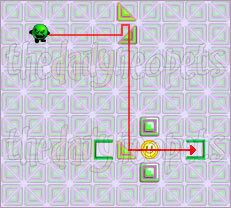 There are about 70 different levels in Attack of the Marblemen although some are repeated many times. All levels are the same beyond level 100, except you are given less and less time until the level becomes impossible to beat. As you'd expect, the further you get into the game, the harder the levels become. You will have less time and more marbles of different colors to coordinate. Bombs also become a nuisance since you will be forced to fetch shields to get through them. After every five levels, you receive a level code. You can use these codes to skip ahead to levels that you have reached before. However, you will start with 0 points. Grab all the coins! Each coin is worth 10 points; more than the level itself. In the later levels, the bulk of your points come from coins. Focus on all the marbles. While waiting for one marble to get to a bumper, you can be directing another marble into its box. In some levels, if you don't keep an eye on all the marbles, they will run into a bomb or wander into the wrong toy box. Figure out where your marbles are, where they need to go, and how they will get there. In some levels, you will need to pick up shields before heading for the toy boxes. Make sure you don't direct them towards their toy box and then realize that you need to go back and get a shield. Getting marbles where you want them - Moving a marble from one place to another isn't always as simple as it sounds. Sometimes you can't directly turn in the direction that you want. Let's take level 6 for example. You want to go down to the right of the toy box. The screenies below show what you should and should not do. This is the best strategy. Learn to use this as it allows you to set up all the bumpers without having to wait for the marble to reach a certain spot. It's the quickest and most effective method. The only problem with this method is that it won't work if a bomb is located exactly where the top-most bumper is, which happens in some levels. Use this when you are not quick enough to use the previous method. 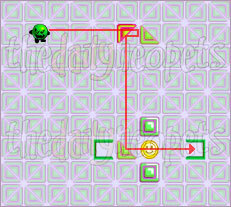 Let the marble hit the green bumper to the right, then place the bumper marked red, so that the marble is directed down to the toy box. This takes slightly more time and requires you to wait for the marble to reach a certain spot until you can activate all the needed bumpers, which isn't very effective when you have several marbles to worry about. This is just like the second method, except you have less time to place the red bumper. I would not recommend using this unless you are forced to, due to a bomb or some other obstacle. The main problem is that you must have very good timing, or else the marble will not go where you want it to. Like the second method, you have to wait for the marble to reach a certain spot before activating the red bumper. Getting a trophy - Very few people can actually complete all 100 levels; even less can do so without dying and losing their points. Because of this, you should be able to get a trophy without completing much of the game. Beating levels in the shortest time possible will get you a higher score, but will not have much of an impact on whether you get a trophy or not. As long as you complete the levels and collect all the coins, you should be good for a trophy. The bulk of the points are earned in later levels, so you may want to skip ahead using a level code, and not have to worry about losing a life in the earlier levels. Finally, all of the levels after 100 are the same, but give less and less time to complete. Finding the quickest route to these levels will help you survive for longer and earn more points. However, if you have gotten this far your score should be more than enough for a trophy. This is only for those who are determined to get the highest score possible. Of course, play at the beginning of the month for a better chance at getting a trophy. Attack of the Marblemen is a great game to keep your mind busy. Although getting a trophy would take a very, very long time, playing this game is usually a good way to get some quick NP. Good luck to anyone trying to get through all the levels!